So….it’s freaking hot outside. It’s a great time of year once again for my “Guy Gazpacho,” which I’ve already made three or four times including this past week. It’s 90-plus in most parts of the country, and yeah–we sit in air conditioning most of the time. But there is something about a cold tomato based soup that just hits the spot in summer. And I’ve been doctoring up my own recipe lately–adding lemon juice and spicy olives/olive juice. Speaking of cold soup, I picked up the new issue of Bon Appetit, a mag that my mom still has stacks of, like from the ’80s, never read. So while I associate the magazine with my mom and foo-foo French cooking and cooking that takes all day, I saw the issue on the newsstand and there was this kickass chicken skewer with a sriracha sauce. Oh man. I grabbed it and never looked back, reading that thing cover to cover. 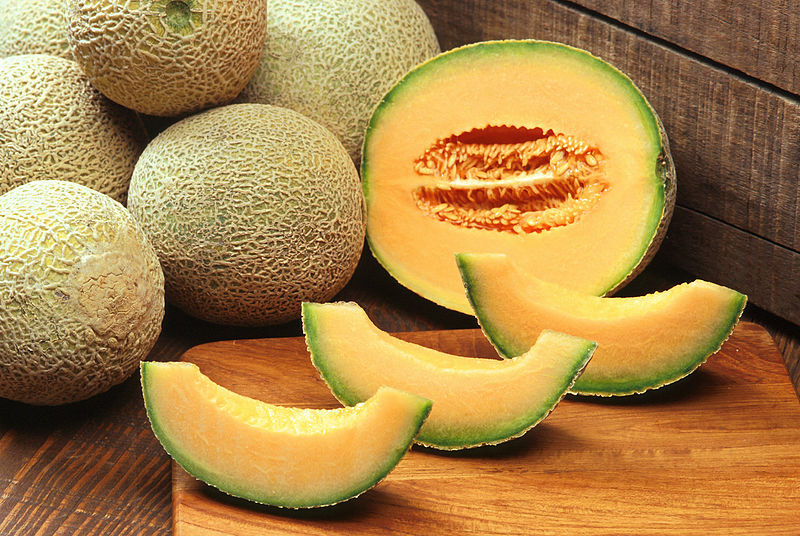 My mouth is watering now as I write that there was a page on cantaloupe, now in season. I made prosciutto and melon risotto, and plan on making their cantaloupe gazpacho. Damn. That risotto was freaking insane. Speaking of cooking magazines, we’ve gotten hooked on Cooking Light lately, as their recipes are (mostly) easy, interesting and tasty. There were a couple of smoked meat recipes–a BBQ pork shoulder that was crispy, spicy, and tender. And a smoked chicken cobb salad with creamy avocado dressing. 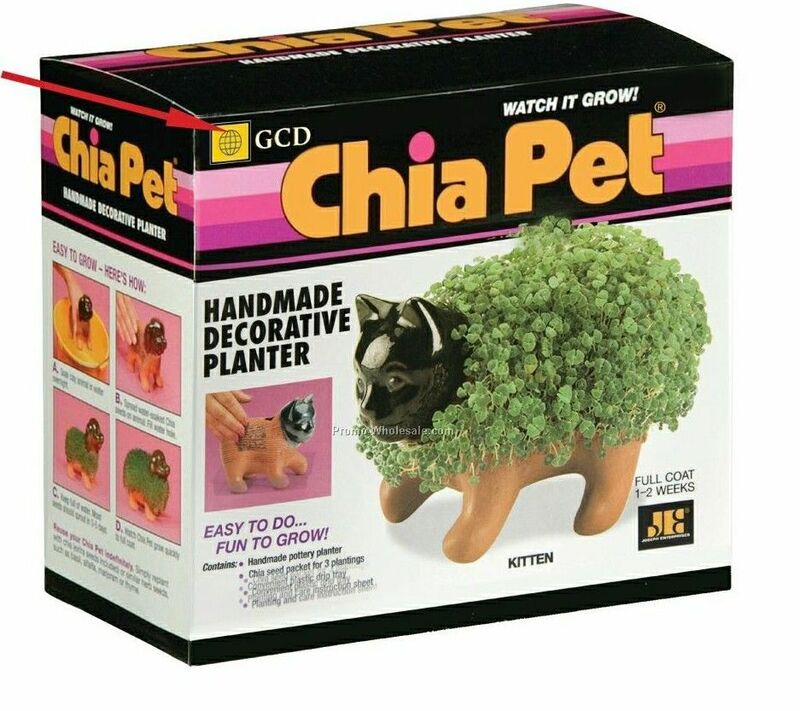 Yeah, maybe a bit foo foo but not over the top foo. Do you ever watch shows like Chopped and Masterchef and think that you could be a contestant? Me, I watch those shows and know for a fact I would have zero chance of even creating something edible from whatever they put in front of me–not in 20 or 30 minutes anyway, and certainly not with ingredients I’ve never used befoe. I need time to cultivate the ideas in my head. Anyway, if you are watching Masterchef as Mrs. Mike and I are, let me offer something to hope for–a Krissi vs. Natasha finale. Man, those two would claw each others’ eyes out. 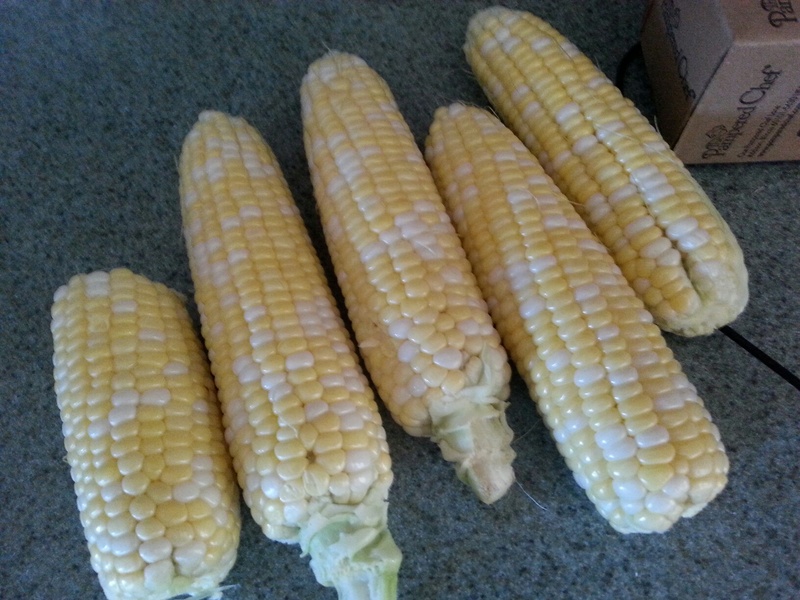 This is the best month of the year for produce–corn, tomatoes, peaches, melon. You can have the 11 other months, I will take July. Great article the other day about bagged lettuce. However, the article didn’t answer the one question we all have–why does bagged lettuce have that weird chemical aftertaste? Blech. It’s one of the reasons to join a CSA–your lettuce is organic and has no weird stuff sprayed on it or washed with. And it actually tastes good. As things you can be addicted to go, seltzer water is not something that can do the body much harm. It’s basically carbonated water, and thanks to my SodaStream device, I drink even more fizzy water now than ever before. And because sometimes the flavor extracts can get boring, I like to use real lemon or lime juice (or small amounts of soda syrup). But that’s not always easy; that is, it’s not easy squeezing citrus juice into a small mouth bottle. 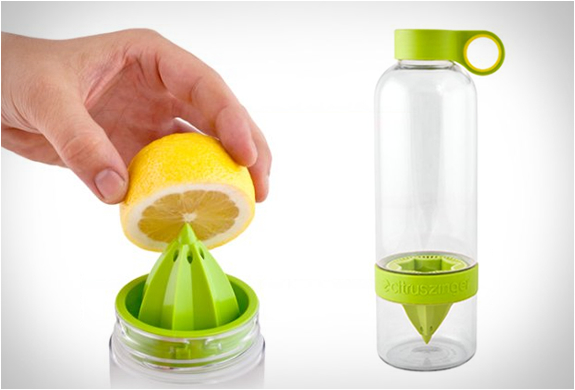 But now, there is a product that makes it super easy to have water or carbonated water with a twist of real citrus juice. The product is called CitrusZinger and the concept is simple. There are two ends to the plastic bottle–a large mouth screw top with a juicer attachment; and a small mouth drinking side. So basically you cut some lemon, lime or orange, juice that and close up the bottom of the bottle. Then you flip the bottle over and add water, seltzer or even maybe cola or iced tea. And you’ve got instant and fresh twisted beverage. Of course, there are a million ways to use CitrusZinger, but I was boring and only tried it with lemons and oranges and the combination of the two. But you can even add sweeteners, herbs such as mint, and spices such as cinnamon. If you look at the booklet, you’ll see what I mean. But there are also a VodkaZinger, AquaZinger and SaladZinger–which means seriously endless possibilities. Right now the Zinger products are only available online and at Brookstone Stores. For more information, please visit the Zing Anything website. 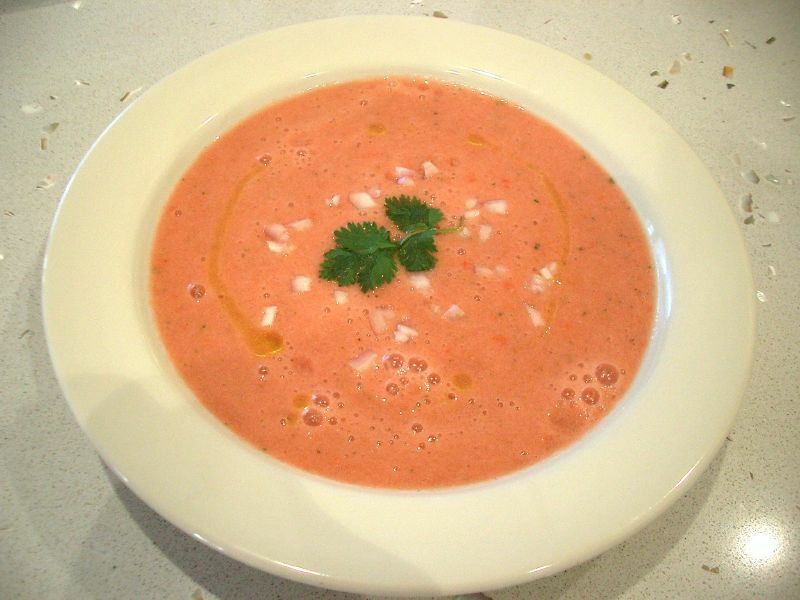 I posted a recipe a couple years back called Guy Gazpacho on Bullz-Eye’s Grub for Guys section, and I re-posted it here last May. And I thought that now is a good time to re-visit that one, because it’s getting brutally hot outside everywhere, and because tomatoes are coming into season, as are cucumbers and peppers. Plus, hey, it’s Wednesday, and that means it’s a great time to have another Wing Sauce Wednesday column. That’s because wing sauce is one of the secret ingredients of my gazpacho. If you, like me, love Buffalo wing sauce and feel like you’d be really happy just doing shots of it, this is the soup for you. It has 2 tablespoons of wing sauce, but I have started adding more like 3-4 per batch. The other secret ingredient for me? Avocado. It gives the soup a nice smooth texture and taste. I also do not use onions or raw garlic as many chefs would, because my stomach is not a fan of that stuff in its raw state. But you could certainly add some of either or both. There are no rules, but if you do make this gazpacho on Wing Sauce Wednesday, you should definitely add the sauce. Trust me, it’s worth it on Wednesday or any day.